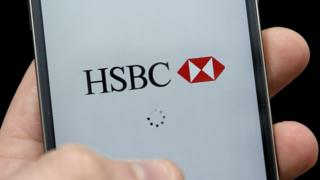 HSBC UK is testing a new smartphone app that will help people track what they spend money on, and will “nudge” them if they exceed their spending limits. Customers will also be able to add accounts from 21 rivals including Lloyds and NatWest, to keep track of all their balances in one app. The app will be trialled with 10,000 customers before launching in 2018. Similar money-tracking features have proved popular for smaller start-up banks such as Monzo and Yolt. Those apps let people break down their spending into easily visible categories such as groceries, entertainment, coffee and utility bills. The same feature will be added to HSBC Beta. “The challenger banks are offering new user interfaces and experiences, and very intuitive design features, so they’re much more attractive to younger people,” said Markos Zachariadis, associate professor at Warwick Business School. The ability to add rival bank accounts to one app is part of an initiative called Open Banking, which will make it easier for banks, start-ups and other financial institutions to share data when customers request it. The HSBC Beta app will also let people set personal goals, such as spending less money on coffee. It can then give people “helpful nudges” if they spend too much, said HSBC UK’s head of personal banking, Becky Moffat. “What customers told us they want, is the ability to see all their money in one place and have helpful nudges and tools,” she told the BBC. Ms Moffat acknowledged that smaller challenger banks were already offering apps with similar features, while the new HSBC app will not be widely available until “early 2018”. “We’ve seen the likes of Monzo and Yolt, now we want to leverage the trust people have in the HSBC brand so they don’t need multiple apps. “Our legacy systems are not always the easiest to integrate with, and sometimes we have to spend more energy to deliver what our customers want in this day and age.